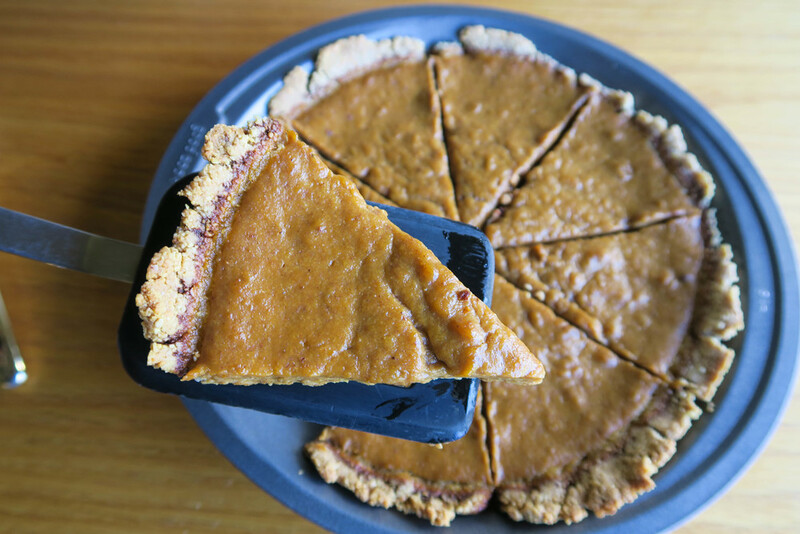 Home » The Best Healthy + Gluten Free Pumpkin Pie Recipe! The Complete Herbal Guide / Healthy Recipes / The Best Healthy + Gluten Free Pumpkin Pie Recipe! Hey friends! Can you believe Thanksgiving is almost here?? It’s so crazy how this year is just flying by! This time of the year is my all time FAVORITE (it comes very close to Summer, but I gotta put the months of Oct. – Dec. on top). I love how the air becomes crisp, the delicious Fall flavors and foods, and of course the many holidays that occur in December. 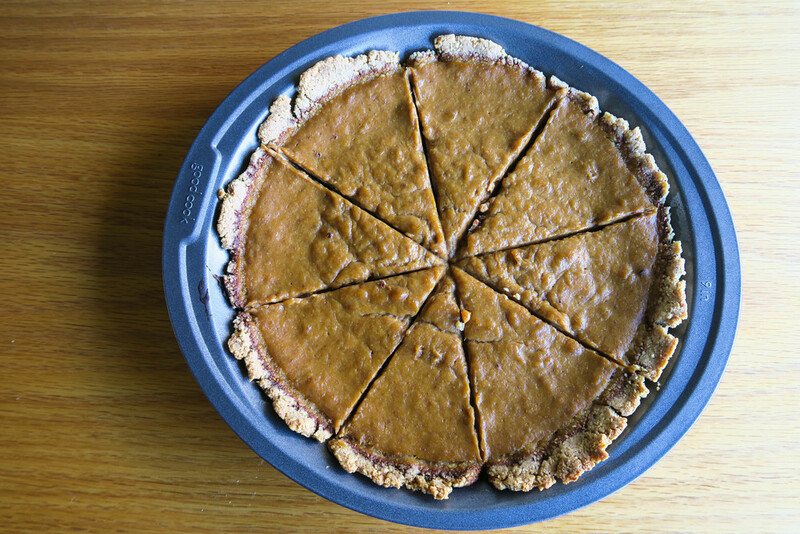 Pumpkin pie is by far my favorite Thanksgiving dessert – if you don’t like pumpkin pie I question your taste buds (just kidding 😉 ) Below is my recipe (inspired by Ancestral Nutrition) that I used to create a super yummy pumpkin pie made with few ingredients and a gluten-free (but oh so delicious) pie crust. Hope you enjoy! This pie is, in my world, as healthy as it gets when it comes to pumpkin pies. Yes, there’s sugar in it (from honey), but I prefer my pumpkin pie with some sweetness to it. I love using honey to sweeten things up! It’s natural and way better than processed or factory-made sugars. The filling is just as easy as the crust. Mix all ingredients in a bowl (again, I used an egg replacement) with a whisk and transfer the mixture into the pie pan! The longest, and some may say the hardest part, is waiting for close to an hour for this bad boy to cook – but trust me, it is SO worth it! When you’re checking if your pie is done or not, use a toothpick or knife and poke it into the center of the pie. If it comes out clean you’re set! If the pie still jiggles, don’t worry – pumpkin pie is more of a custard and isn’t similar to a cake and will most likely still jiggle even when it’s finished cooking. The pie will solidify once it cools down. Start off by making the crust. 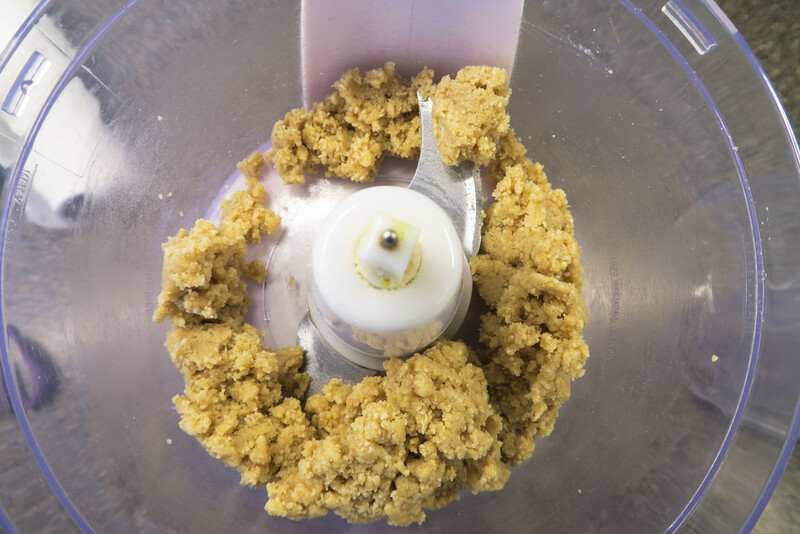 Get out a food processor or high speed blender and blend almond flour, egg (or egg substitute) and ghee until you get crumbles (see picture above). 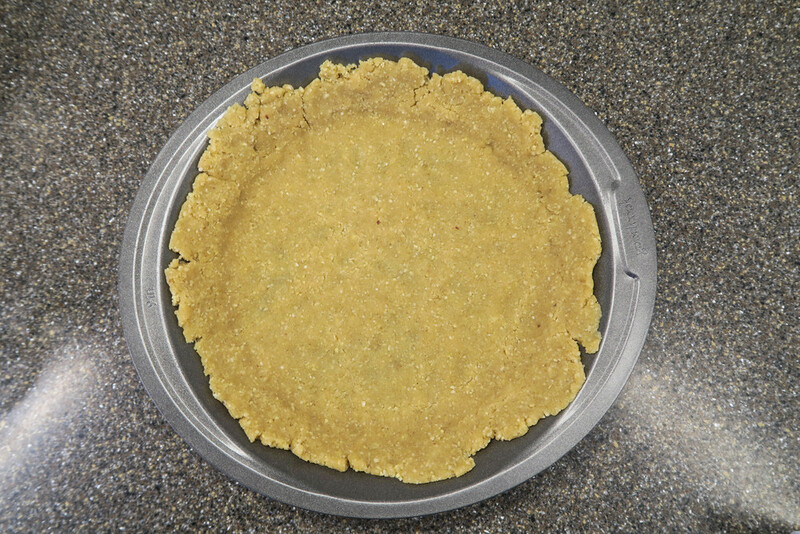 Place the entire mixture into a 9 inch pie pan and, using your fingers, smooth it out until the crust reaches pretty close to the top of the pie pan. This crust won’t be super thick, but it’s not really supposed to be either. Don’t put the crust in the oven. Next, with a whisk, blend the pumpkin puree, honey, hemp milk, egg (or egg substitute), cinnamon and ginger together in a bowl until everything is combined. Poor mixture on top of the crust in the pie pan. Shake the pan back and forth to make the filling even. Place the pie into the oven for 50 minutes or until you can put a toothpick in the middle of the pie and it comes out clean. Don’t worry if the pie still jiggles – it’ll solidify when it cools. Hey! I’m Kelly, a 22-year-old with more interests than you can shake a stick at. However, my passion is fitness and health. On ActivKel you will find recipes, fitness tips, reviews on products, my own thoughts and adventures, and a friend!